On Tuesday 5th July 2016, we held our first Spelling Bee Championship in Upton Junior School. As the lights were dimmed and music set the mood, three finalists from each year group walked onto the stage confidently, all hoping to be the champion speller from their year group. The audience were hushed as the contestants were given 20 seconds to write down the spelling word on their whiteboards. 5-4-3-2-1 was the chant as the countdown neared the end. Then the contestants spelled aloud the word in turn – everyone listened with bated breath! Year 6 started the event with Sophia Brown, Michael Ghouri and Mia Longhurst. 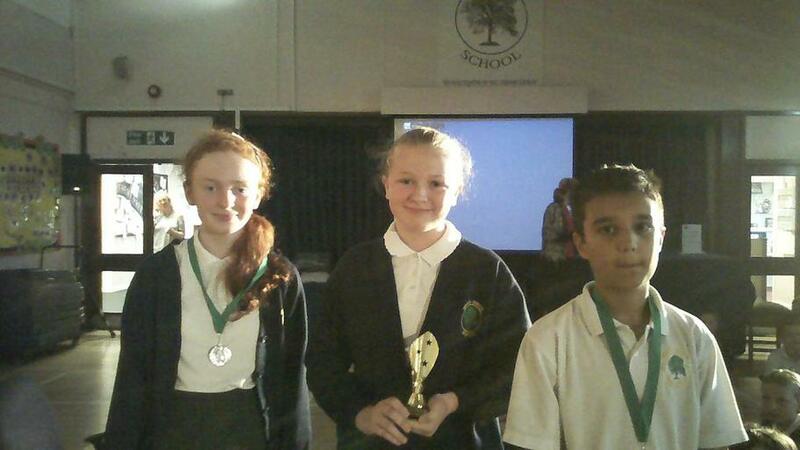 Amazing spelling from these three – the Year 6 spelling list was no challenge for them! Mia eventually won, spelling ‘vacuum’ correctly. 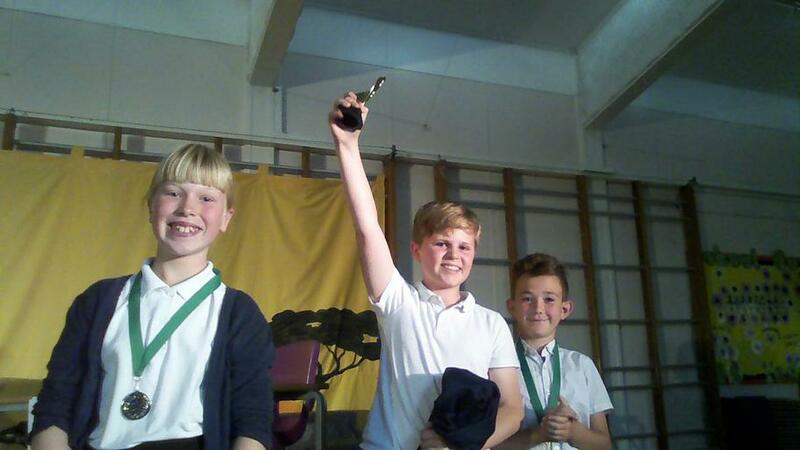 Next were Year 4 – a tense competition that promised to run and run because the children were such good spellers. 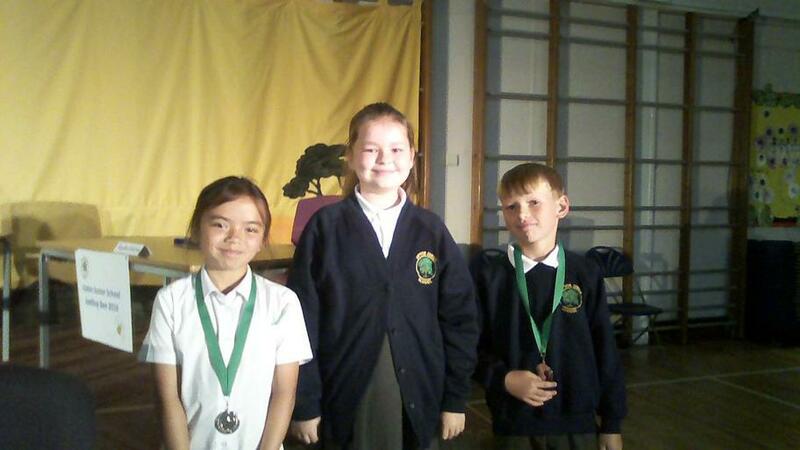 The contestants were Isobel Hunter, Sophia Faletto and Zach Pipe. Such drama - but the eventual winner was Isobel Hunter. Year 5 spellers came up after that with Harley McIntyre, Zara Pipe and Archie Sheppard competing for the Year 5 Spelling Bee trophy. What a competition! We thought they would never be separated but Harley was crowned Year 5 champion by the end of the show. 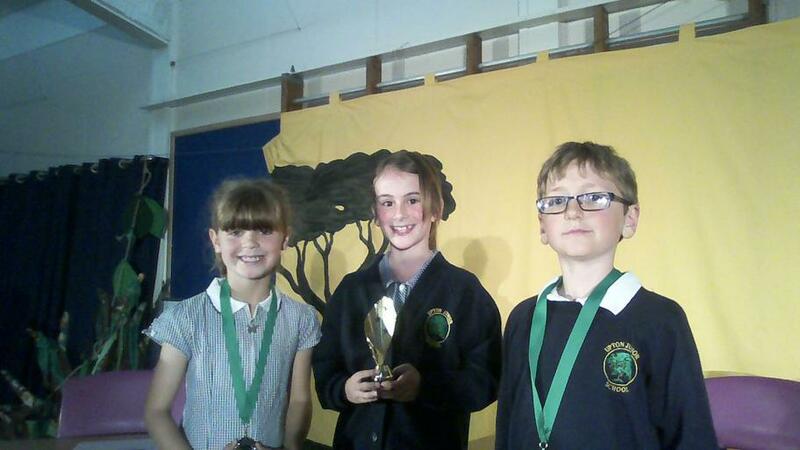 And finally from the Year 3 children, Chloe Dalley, Ethan Francis and Jessica Peel – the most amazing spellers of all. We just couldn’t find words that they couldn’t spell. Year 4 words were a mere trifle to them…. so we had to use Year 5 (difficult) words!!!!!! In the end, Chloe Dalley was our Year 3 champion. Such a superb ending to our Spelling Bee Championships.